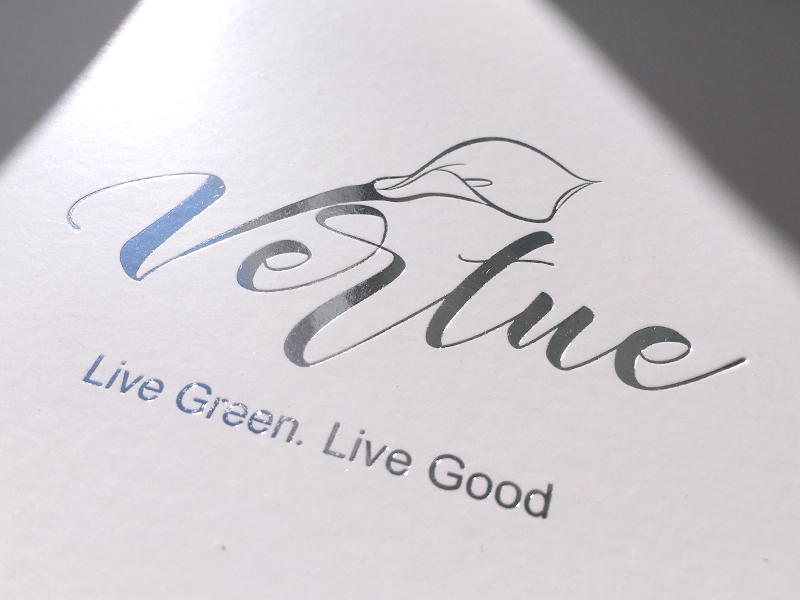 Recently, I was fortunate enough to have been asked if I would like a second Vertue Box sent to me to try out (see my first review here); I most certainly said YES! * I was so impressed with the first box I tried. The theme for this edition of the box is “Good Hair Day” i.e. 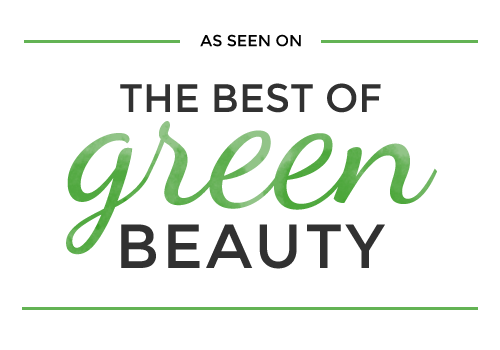 hair care, and the created has collected a number of beautiful products for a number of different aspects of natural hair care: shampoo, conditioner, hair oil, frizz tamer, brush/detangler, and care from the inside. 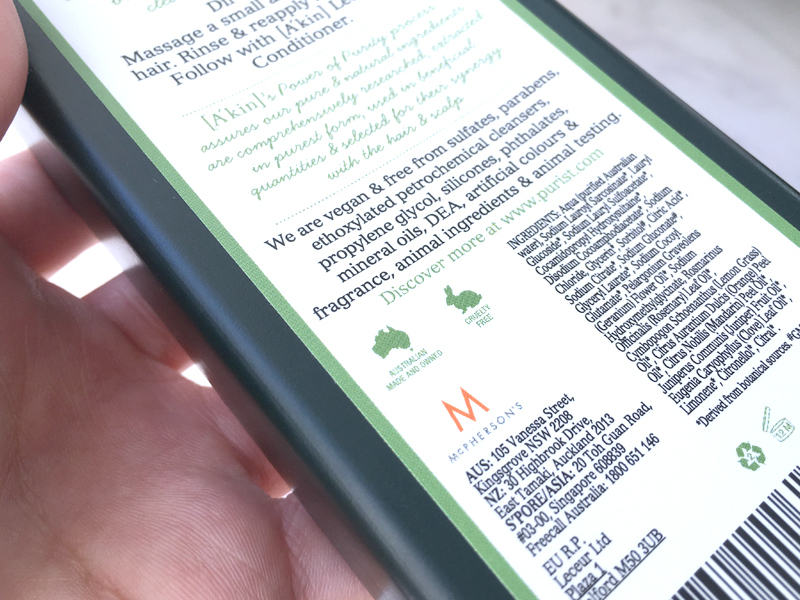 As most of your probably know, I call Australia home even though I am currently living in Europe, so I always love seeing brands that have made their way out of Australia and into the northern hemisphere. I remember A’kin from when I used to live in Australia, it was definitely a product I tried; but I was playing soccer almost every day back then and being a “poor” student, it cost a bit too much for me who was washing their hair a LOT. And I wasn’t so into natural products back then. 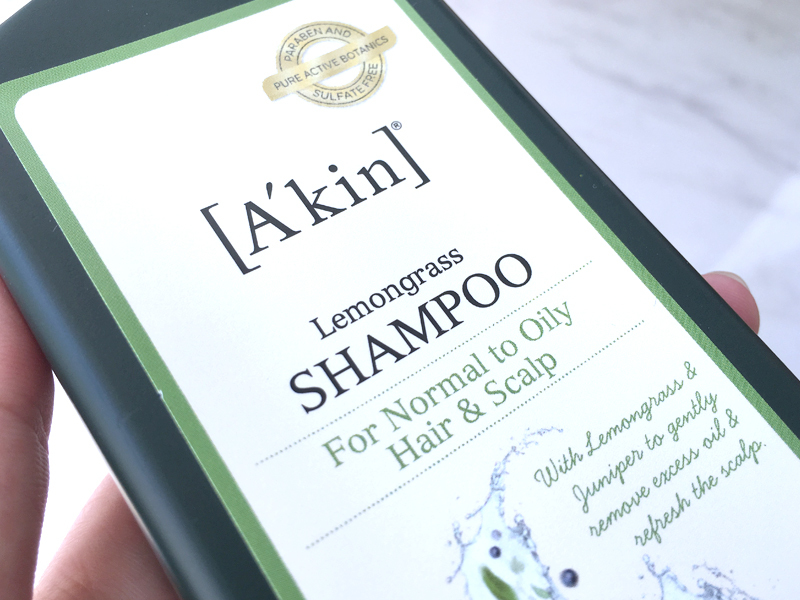 I have been loving using this, I feel as though my roots and scalp do get oily easily, so I was glad to have a shampoo included in this box that would suit my specific needs. I think it does do a good job for my specific hair, but I cant speak to those with a dry and sensitive scalp. It does not contain sulphates (yay!) which I basically do not use any more if I can avoid it, but it still foams nicely. 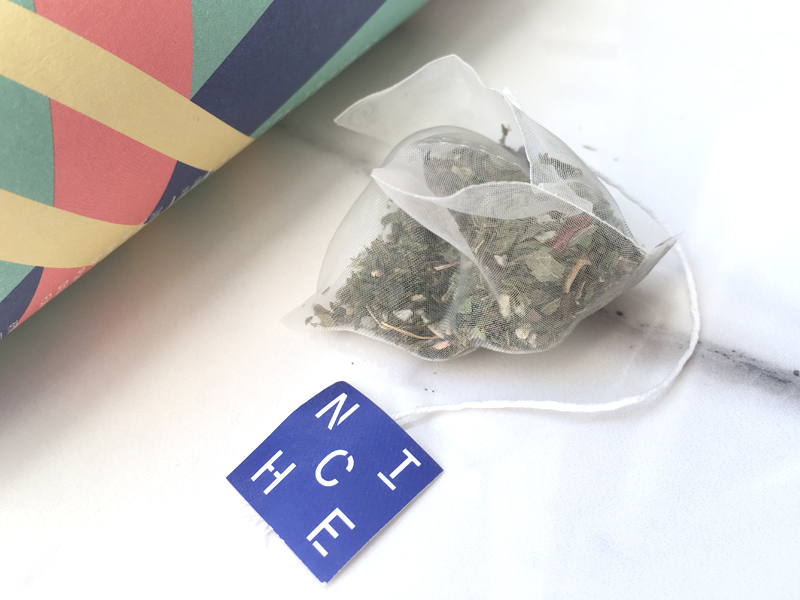 Lemongrass and juniper scent is very fresh and uplifting. I really like though citrus-y, “clean” kind of scents; makes me feel clean I guess haha. You don’t need too much to still work up a nice lather, and this bottle has been lasting me very well; I probably still have more than half a bottle left after a month and a half or more (I wash my hair on average twice per week). 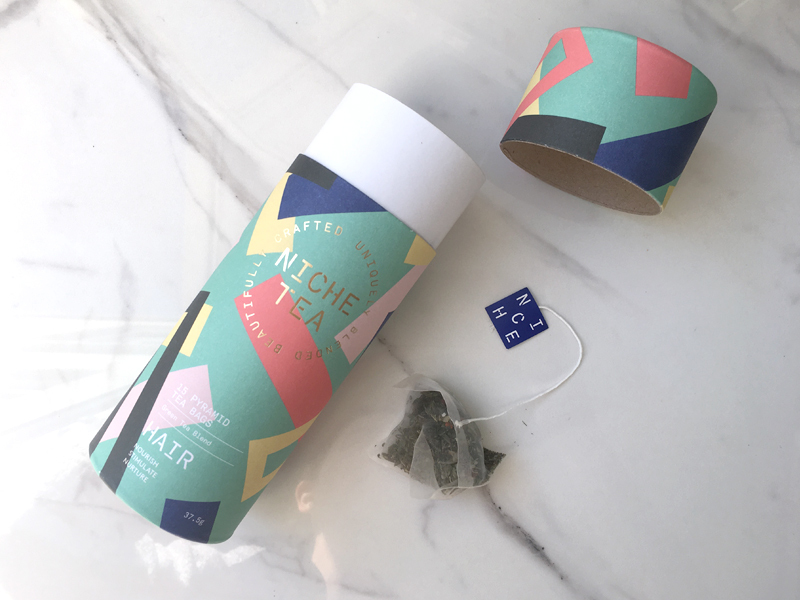 Gorgeous packaging, and a really interesting product! I haven’t tried any other TJK products before and I was really exited to see this included in this edition of the box. I mainly use it as a conditioner that I wash out after I have left it for a few minutes while showering. 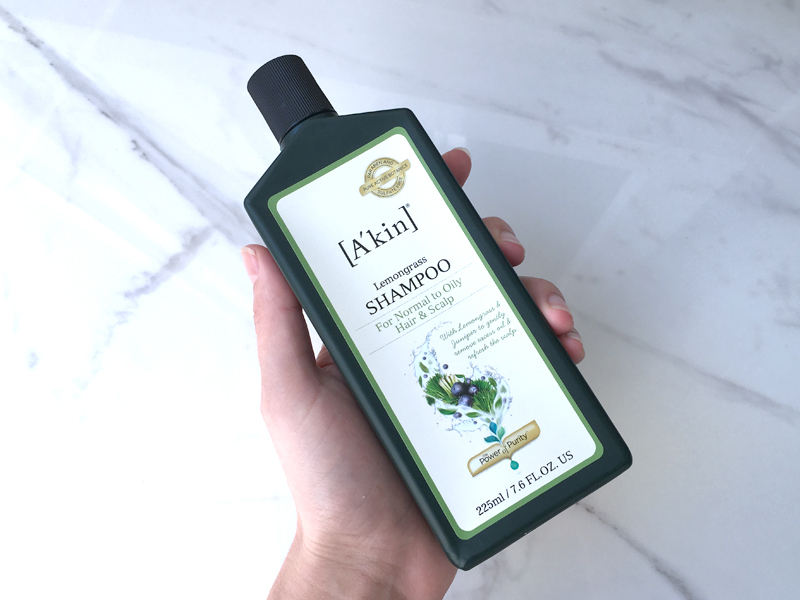 As a conditioner I love it, my hair feels lovely after using it; very soft and manageable (I use it following the A’kin shampoo). The only thing I don’t like about it when using as a conditioner is that you have to pump it quite a few times to get enough product out (I have pretty long hair and I try to keep it to the mid lengths and ends). Though I suppose this helps to prevent overuse of the product. As a leave-in treatment/styling/taming product, I dont think it adds a whole lot of shine, but it certainly calms all my fuzzies down! 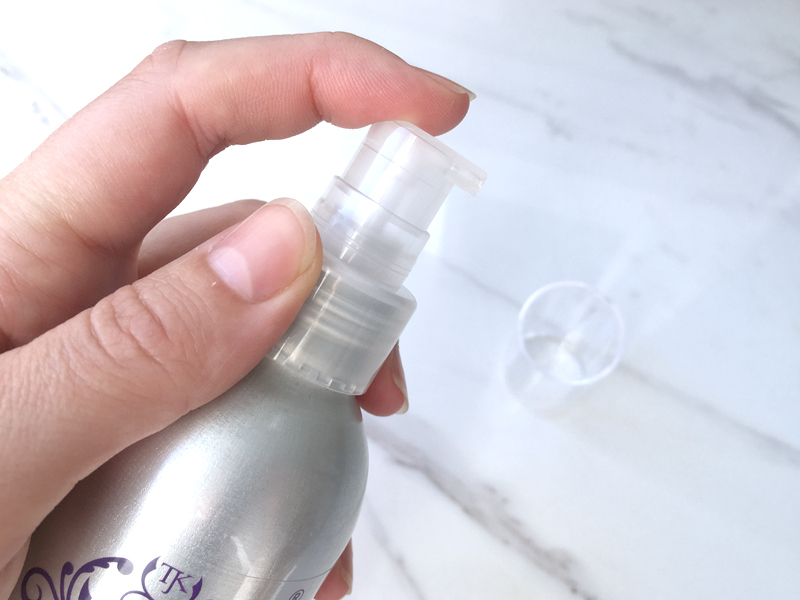 One pump is usually sufficient for all of my hair (I apply it to dry hair usually); more and you start to feel a bit of residue when you run your hands through your hair. The scent is certainly not overpowering, you can hardly smell it at all really. I have not tried this as a heat protectant or a scalp treatment. 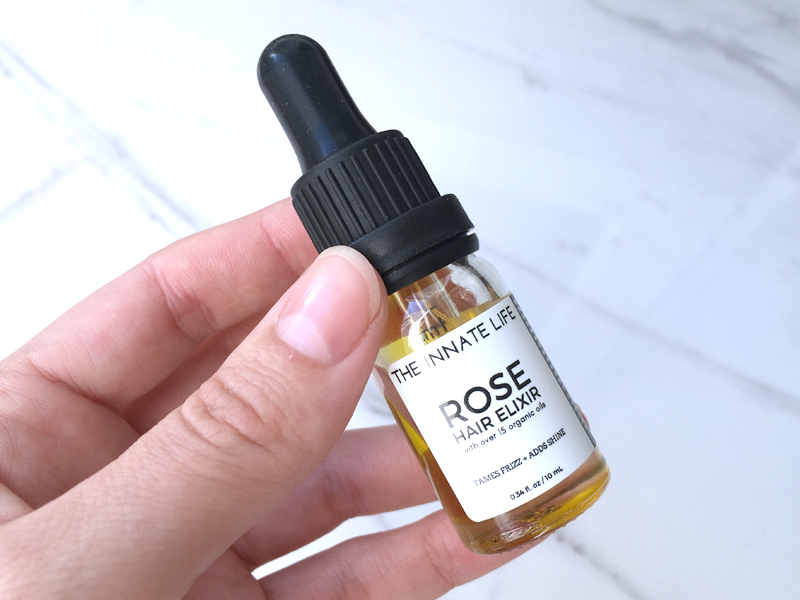 I have seen The Innate Life products on Instagram and always thought they looked so lovely; imagine my surprise to see the Rose Hair Elixir nestled in amongst the other products! 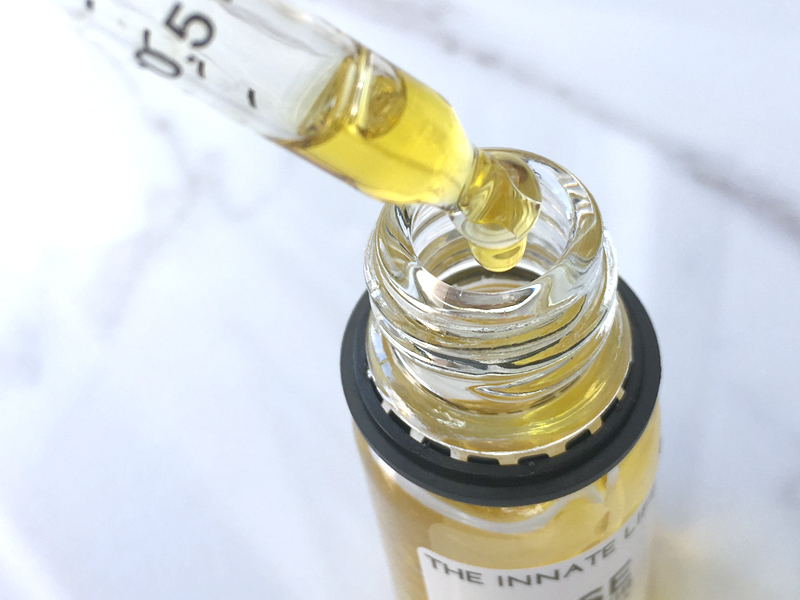 This oil smells stunning, like a lovely fresh rose, not like “old lady” rose perfume. 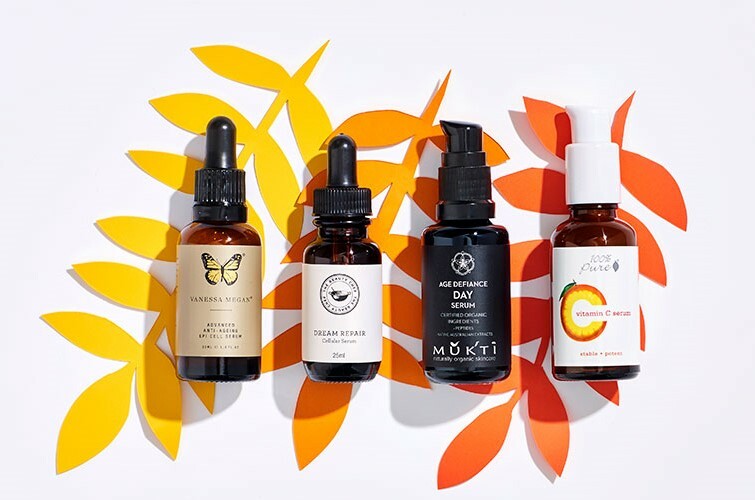 You must experiment when using it to tame frizz and flyaways though, two drops it usually enough for me; more than that and its too heavy and makes my hair look oily. The scent lingers on your hair for a little while which I love. I have also tried it as a treatment and my hair was lovely and silky afterwards. 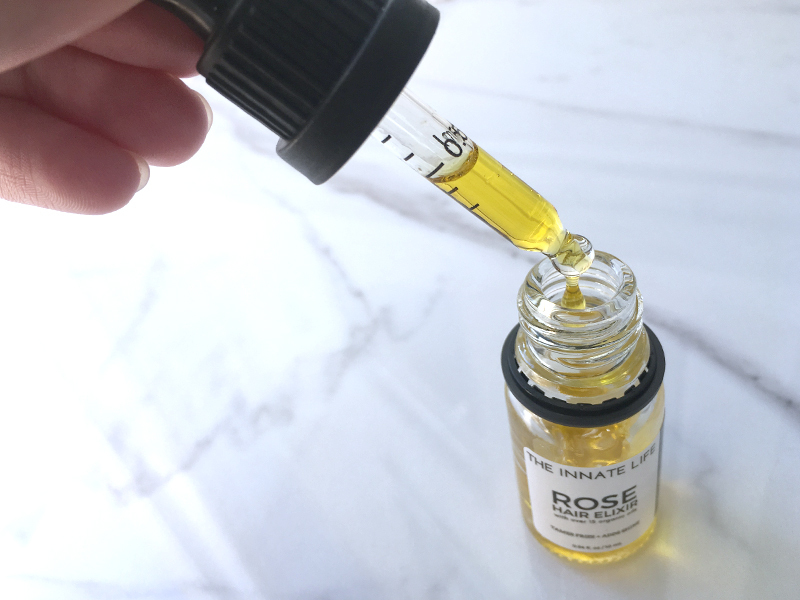 I usually use a lot of oil when I do treatments and this bottle is only small, so I feel like its a bit of a waste when I have other hair oils available to use. 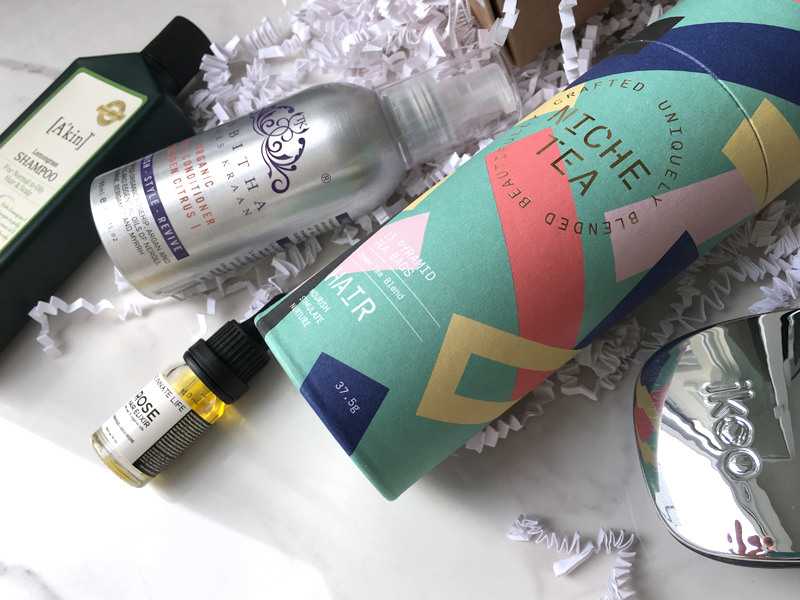 The thing I really like about Vertue Box is that you get an interesting assortment of products that help you achieve your natural beauty from the inside out. This was the case in the first box I tried, and still the case here. 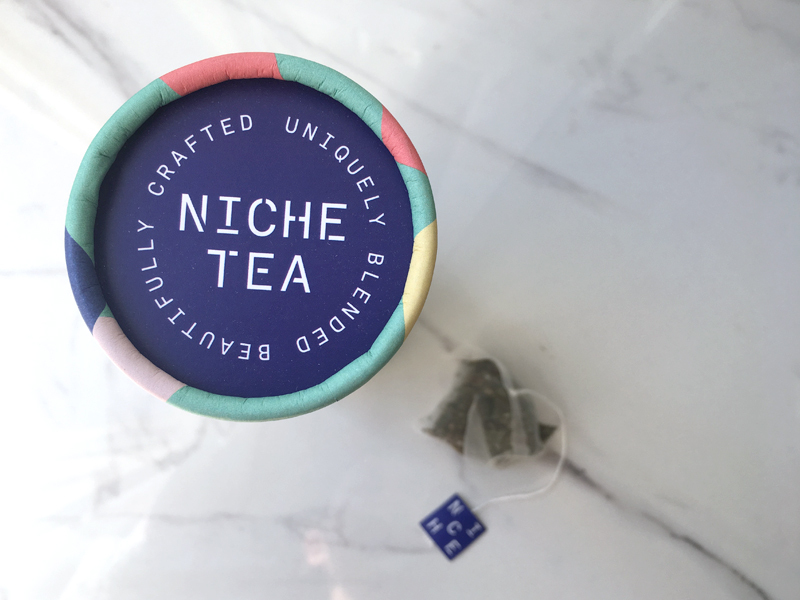 Niche Tea has created a range of handcrafted, functional teas, and VertueBox has included their HAIR blend. 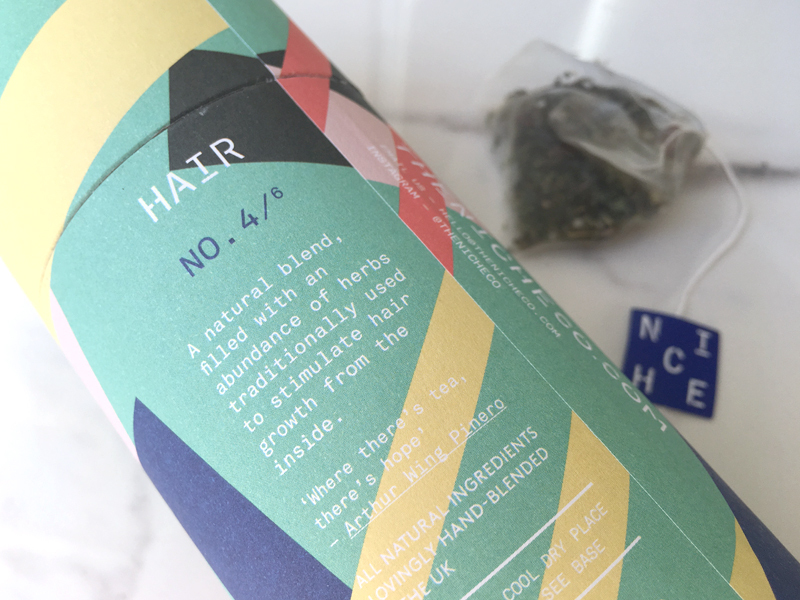 This is a green tea base with a number of other beneficial herbs included which help “stimulate hair growth from the inside”. I like these pyramid shaped bags, and they are 100% biodegradable! This little hairbrush is soooo cute! 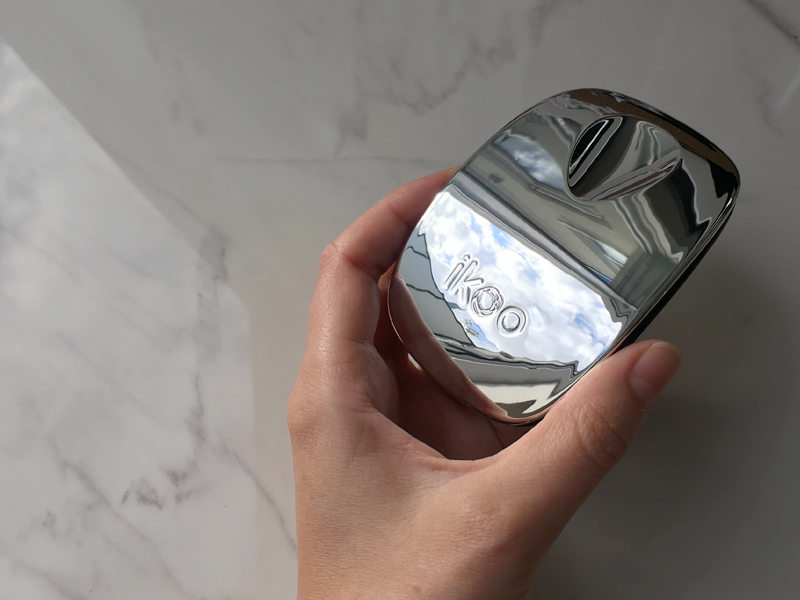 I do travel from time to time so it’s absolutely perfect for that, and its great if you just want to throw it in your handbag. The thin bristles work very well to detangle the hair and massage the scalp. Scalp massage helps to stimulate blood flow and encourage new hair growth, so its great to have this even when you’re traveling. 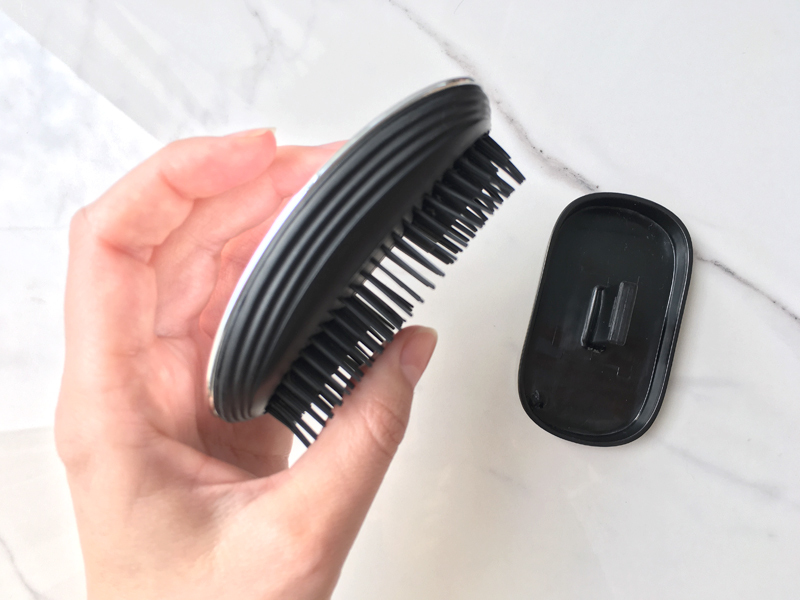 The thing that makes this cute little brush so great for traveling, is the for lack of a better word: bristle protector attachment. It saves the bendy bristles from being bent out of shape or damaged when its packed or just thrown into your handbag. 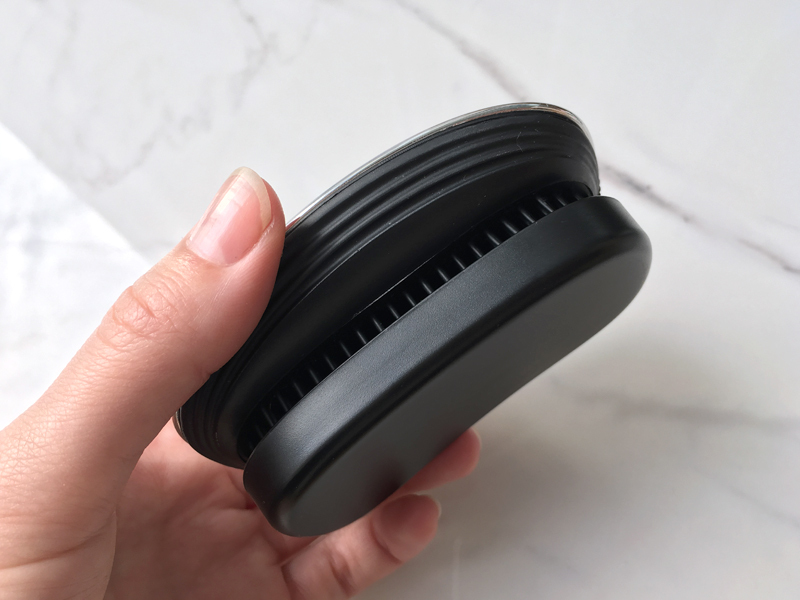 This is a really nice addition that makes it the perfect travel companion. 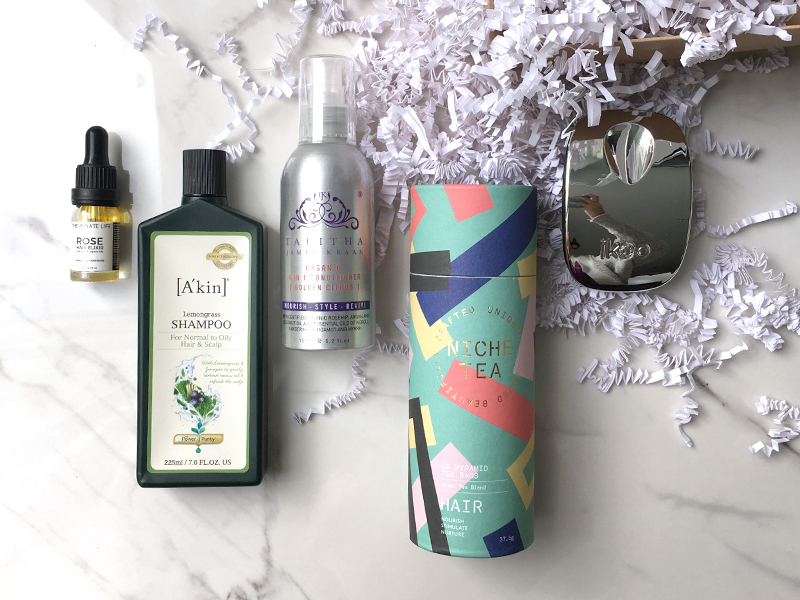 I have been using the shampoo and conditioner included in this box almost exclusively for the last month+ and I have been very happy with their performance. 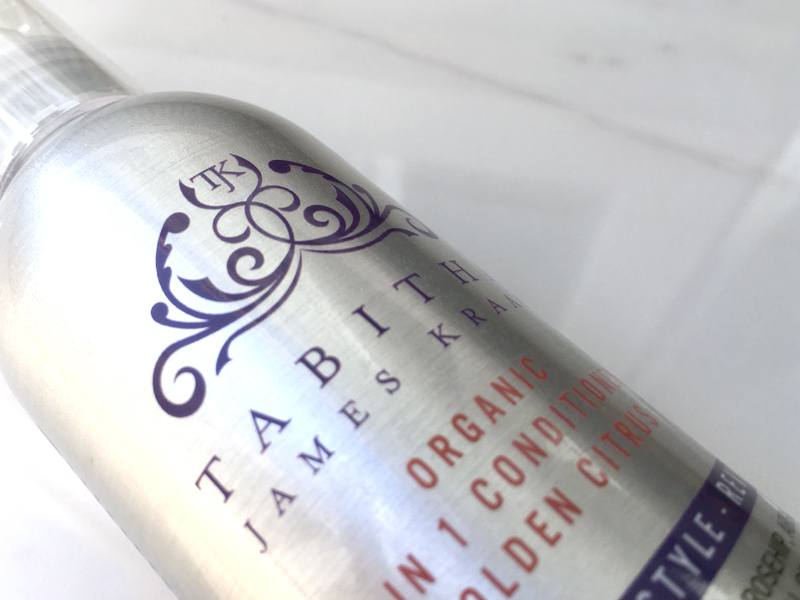 My hair is soft and manageable, and easy to detangle once I have brushed it after the shower. I for the most part, let me hair just air dry, and I feel as though my hair isn’t quite so fluffy/frizzy which is what I am always looking for. 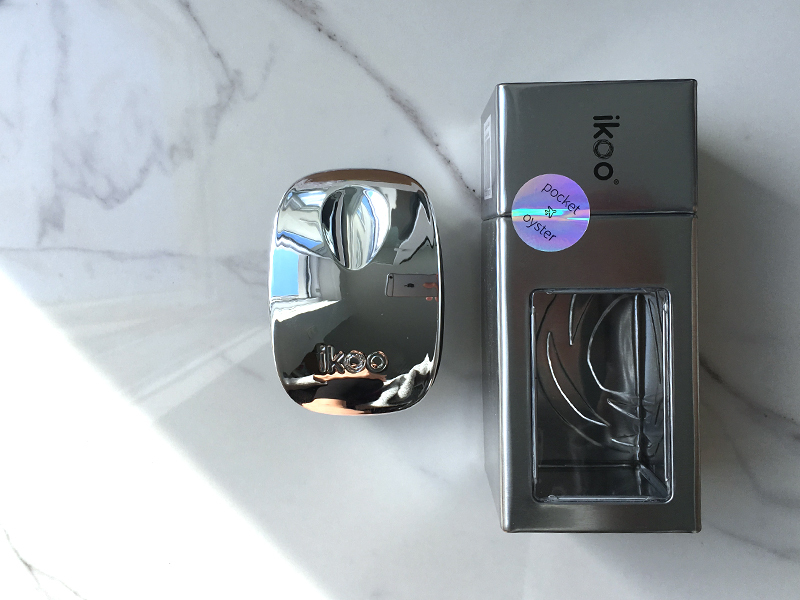 I enjoy using a couple of drops of the air oil, even if just for the scent, and the IKOO Oyster has been really convenient in my recent travels! This box has been great! *Please note, this box was sent to me as a gift, but the fact that I received it for free does not effect my honest review of the products within. I work hard to keep my reviews as unbiased as possible for you, as I believe they would not be helpful otherwise! Also, please note that none of the links in this article are affiliate, as with all other links on my blog.